The theory test is made up of two parts; the multiple-choice part and the hazard perception part. The multiple choice section is delivered using a touch screen computer and mouse, the hazard perception part records your responses through the use of a computer mouse button. You need to pass both parts to pass the theory test. If you pass one part and fail the other you will fail the whole test and you will need to take both parts again. Upon commencing your course with Skillz2Drive your instructor will give you access to the FREE online theory test pro-training site which will allow you to grow and develop your skills and to have all the knowledge you will need to pass both parts of the theory test. Driving schools Hastings, Bexhill, Battle and Rye. 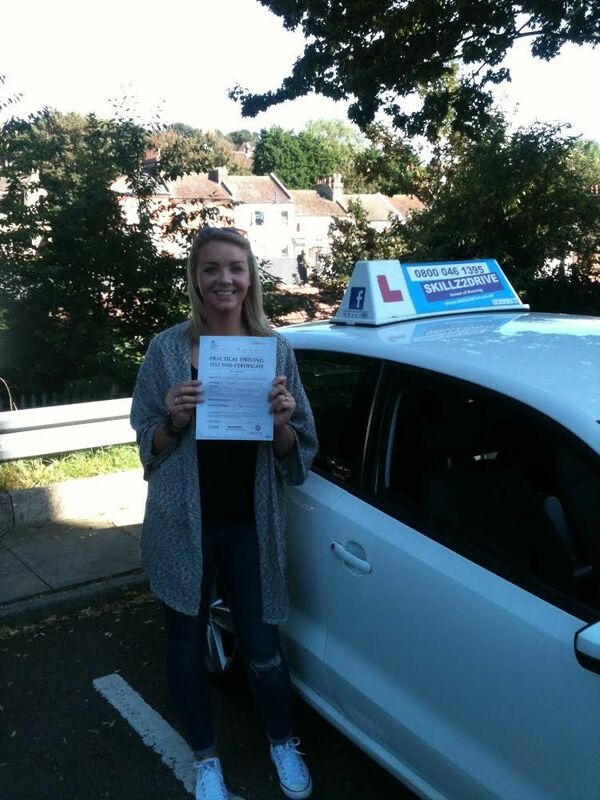 Hannah Stanbridge from Hastings passed her test with help from her skillz2drive driving instructor.